Aluminum frame and seat and back in transparent or dyed. The refinement of the texturing structured, divided into modules hexagonal, honeycomb, this session provides not only the aesthetics of three-dimensional decoration, but also functionality, lightness and ergonomics. Perfect for home or outdoor (gazebos, garden, bar, restaurant, etc.) 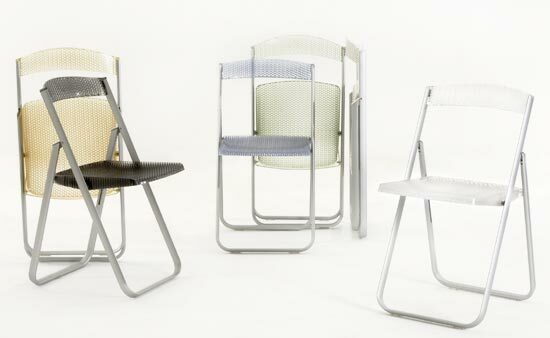 and for small spaces: the chair closed honeycomb occupies only 7cm wide.